2013 A Year In Review! Well 2013 was definitely a great year for Team Kendal Kidz. 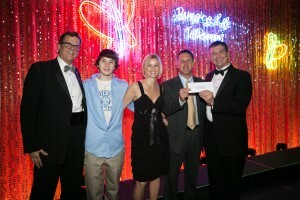 We would like to start by giving a HUGE THANK YOU to Discount Tire for awarding TKK with a $15000.00 grant . This will certainly give a lot of SMILES and HOPE. Thank you Discount Tire, what an AMAZING company. Listen tonight, Sunday December 22 to Cause Rock on Cities 97. 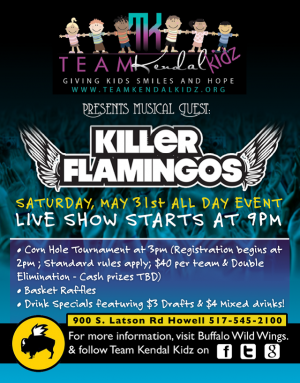 They will be promoting Quietdrive's "Even When I'm Gone" along with a special interview with John about Kendal's story. Buy your copy today on i-tunes and other downloadable music sites and help us save a child's life! Give ChildrenThe Gift Of Life This Christmas! 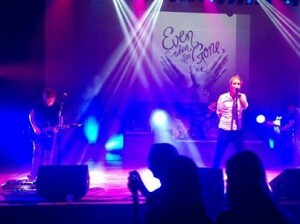 You can click on the Even When I'm Gone photo on our home page to get your purchase from i-tunes. Help make a difference and BUY IT TODAY! Your Research dollars at work! Help us Give Kids SMILES For Today and HOPE For Tomorrow. These are the doctors that were involved with Kendal's trial. We won't quit fighting until there is a cure for all children! Check out our article in Billboard Magazine! 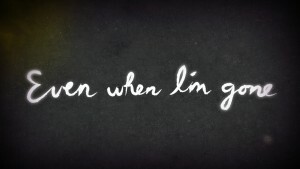 The video for Even When I'm Gone is finally here. Our tribute to Kendal and all those children lost to cancer. Please take a moment to watch and help us make a difference in the lives of these children so we can turn our tributes to those who have lost into celebrations for those who have won. 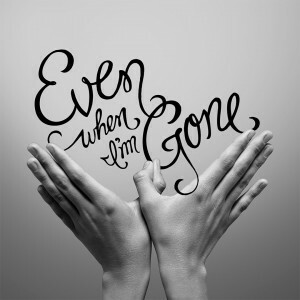 Purchase Even When I'm Gone on i-tunes and other downloadable music sites. # 1 Streaming Song on Daily Play MPE!!!!!! BUY IT NOW @ i-Tunes, Amazon or other downloadable sites. Check it out! 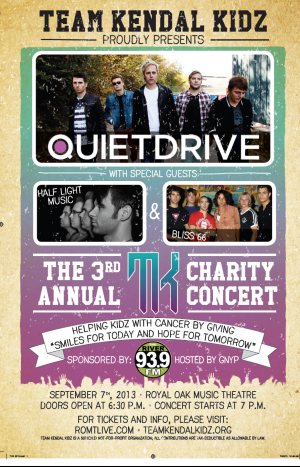 Quietdrive "Even When I'm Gone" #1 song on Daily Play MPE the radio promotion service for Rock the Cause Inc.